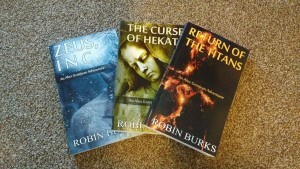 Robin Burks | Would you like to see an online store here on the site? Would you like to see an online store here on the site? First, I would like to thank everyone who attended the Writers’ Panel at ConGT a few weeks ago: we had a lot of fun hosting the panel and I hope that you all got something out of it. I also want to thank everyone who came up to the tables after to meet us and buy books. One of the things some people asked me about is if I they could buy signed physical books later (since it was at the end of the con and many people were broke). I’ve thought about it, so I’m going to ask you all now: would you be interested in buying books online here on my website? Those books would be signed and I would ship them out myself. Yes, the physical books are available on Amazon, but they’re not signed. And the only way to get signed books to readers is to do it myself through this website: I have the resources to set up an online store, but there are some caveats: considering on demand, I could run out of my current supply of books, and although CreateSpace is great, they are slow in shipping new ones. So it could take 6-8 weeks for orders. There’s also shipping to deal with. The books on their own are $10, but shipping would make them more like $15. So here’s a question? Would you be interested in buying signed books directly from me? Just leave a comment or let me know on Facebook , Twitter or Google+. If there’s enough interest, I’ll get an online store up as soon as possible. Yes, I did attend Wizard World St. Louis Comic Con this year. It was a lot more crowded than, I think, I’ve ever seen it, but I still managed to have some fun. Some of my photos from that con (including my cosplays during that weekend) are here.